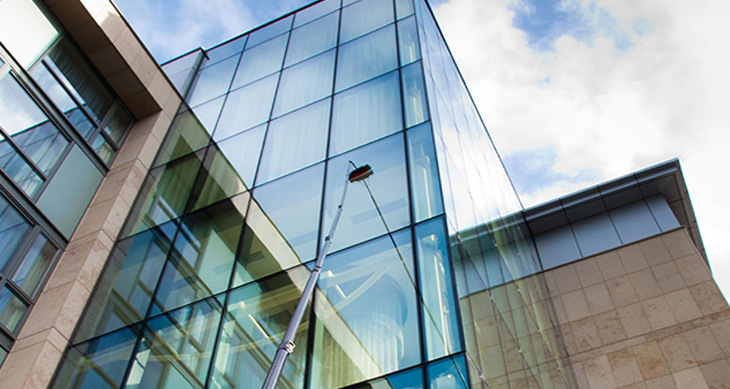 Our Mississauga commercial window cleaning provides service for up to six storeys in height. 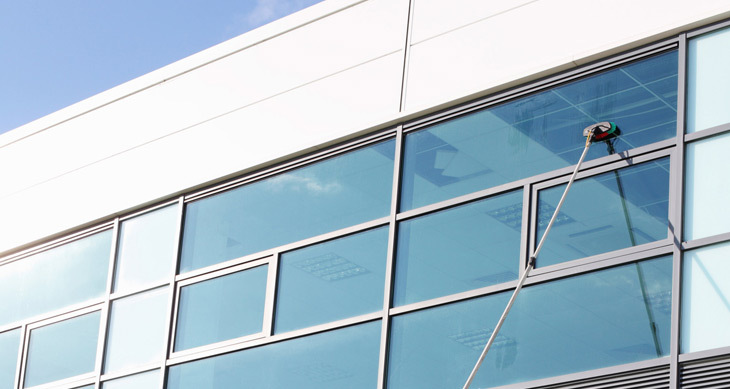 Whether you manage a sprawling housing complex, or require cleaning at multi-storey office building, we are here to take care of and clean your windows. We will ensure that your windows, sills, and window frames are looking their best. With industry leading customer service and excellent workmanship, you can rest assured your window cleaning is in the hands of true professionals with NICK’S Window Cleaning. Contact us today for a free estimate, we are here to help! Mississauga is a diverse area, no two businesses are alike. This is why we take into consideration your exact needs while putting together a commercial window cleaning estimate. A customized window cleaning plan will take into consideration your budget, the specifics of your cleaning, the height of your property, accessibility, and more. While many companies offer a rigid cleaning package, our dynamic solutions allow for a custom approach, while ensuring your windows received the attention they deserve. Contact us today and speak with one of our customer care specialists who will walk you through the free estimate process. Available six days a week, we are there when you need us. 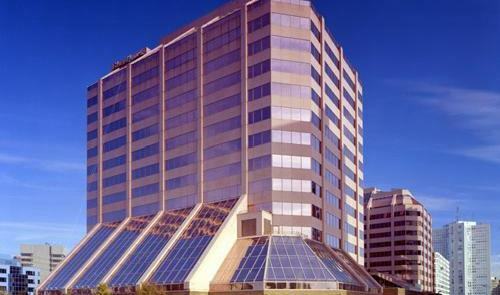 Along with the diverse set of commercial properties in Mississauga, we understand that there is a diverse set of needs. Businesses of varying forms are busy at various times of the day, having a window cleaning contractor show up during the wrong time can be a hassle. Contact us for a free estimate and explain the best time for us to perform your window cleaning service, we will do our utmost to provide effective service that meets your specific needs. Safe, responsible window cleaning practices. Our team is highly trained in performing work with lifts, Bosun’s chairs, long-reach poles. We access all sorts of heights using various forms of lift machines to access difficult spots. Our team is skilled and experienced in the use of various machines and tools, allowing us to provide effective service with the highest level of safety for your property and any nearby people. Our complete liability insurance also provides peace of mind. With the highest level of safety, you can rest assured your commercial window cleaning service is in the right hands with NICK’S Window Cleaning. The right Mississauga commercial window cleaning plan will always be the one that fits your specific needs in terms of affordability and quality of service. From housing complexes to office buildings, you can depend on our skilled technicians to provide excellent service in Mississauga. Our uniformed, professional commercial window cleaners are friendly and prompt. They take pride in their work and deliver the highest-quality sparkling clean finish for your windows, able to clean windows at heights of up to 27 storeys. Do not settle for second-rate window cleaning, our expert team will keep your property looking its best. Many employers will either DIY or give their employees a rag and bucket of soapy water, requesting they clean the windows. In nearly every case, this is not a very good solution to dirty windows. What ends up happening is a poorly executed job, and marginally cleaner windows. At least it looks like they tried, right? When you hire a professional Mississauga commercial window cleaning company you will know for sure that your storefront windows are immaculately cleaned, quickly and efficiently. 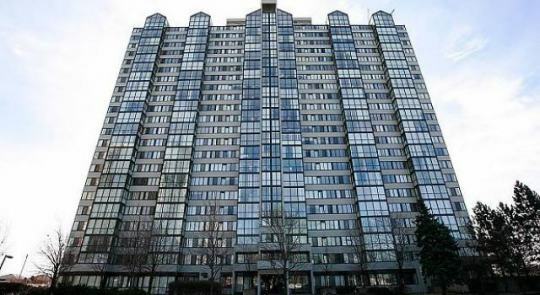 Now when it comes to multi-level buildings, there is just no other way to clean that glass than to get up and close. Skilled professionals will use long-reach poles to clean high up windows, and for the even higher windows, the Bosun’s chair comes in handy. Lift vehicles let us reach even higher and in hard to access spots. Performing this type of work requires extensive training. Supplementary safety training ensures safe work. When it comes to low-rise or office window cleaning in Mississauga, NICK’S Window Cleaning is your top-choice.